When Muslim bad boys talk crap about fellow Muslim women, you know we’re going to be right around the corner to smack them down. 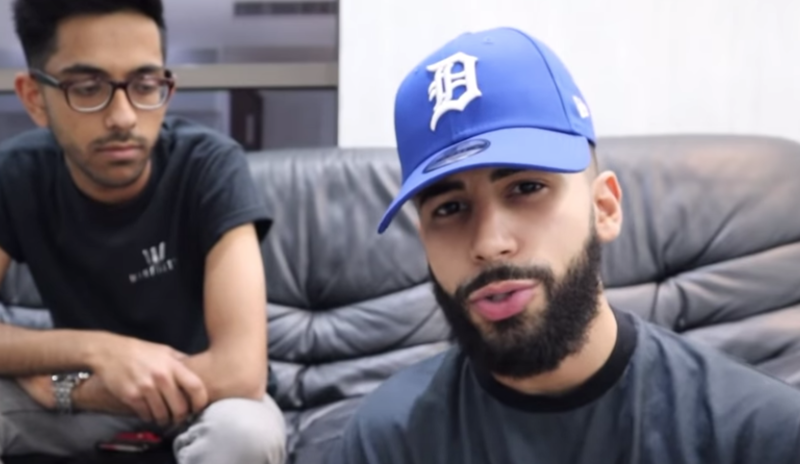 About a month ago, Adam Saleh, the notorious YouTuber and pain in every woman’s business, took it upon himself to make comments about a fellow Muslim YouTuber’s decision to remove her hijab, along with a group of his equally noxious companions. As many are aware, YouTube star Dina Tokio recently decided to remove her hijab, inexplicably upsetting many of her viewers and followers. None of that changes the fact that Dina’s choice should be respected. As Muslims, we are not supposed to judge anyone’s decisions, owing to the idea that we are all accountable for our own spirituality, and no one else’s. Anyone upset about her decision can just cry their way to the akhirah, because neither they, Dina, nor Adam, are perfect Muslims in any way, shape, or form. Last time I checked, the last prophet of Islam was Mohammed (PBUH), so why are so many people upset at Dina, as if she is the ultimate compass of the Islamic faith? Why do so many self-styled Islamic moral guardians, like Adam Saleh, continue to violate Dina’s relationship with her faith, as if they’re guaranteed a one-way trip to paradise? The likes of Adam Saleh, and his friends, are hypocrites. I say this with great confidence. I have never seen anything positive from Adam Saleh to promote Islam. His content is designed to get him attention at any cost. Adam, you claim that you know better than Dina Tokio, with your holier than heaven remarks. In reality, bro, you shouldn’t be commenting at all. Dina Tokio, what you do is your business, and no one else’s. Adam Saleh is in no position to make comments about someone’s decisions or beliefs, and if by making these remarks, it somehow makes him feel as though he has defended Islam, then LOL. Find another way, bro. To my young Muslim brothers and sisters, who hang on every word of a YouTuber, even Adam Saleh’s, my advice to you is STOP! No one is above you, and no one should be leading you. As Muslims, we’re supposed to be critical, independent thinkers. Stop looking to others for guidance. Man is flawed, and always will be. Do your own research about your religion, and know that picking on the way others are conducting their lives will always be a no-no. Allah knows best. PEACE!